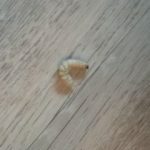 While both carpet beetle larvae and silverfish are common household pests, we don’t think either is a match for what our reader found. At first, we worried he might be dealing with bed bugs, but then he surely would have found more when he examined his bed. Also, bed bugs have a more circular appearance and are usually more red than gray. So, if not bed bugs, what has our reader found? Like many worm-like organisms, sowbugs feed on organic material and thrive in moist environments. While they can be annoying to find around the house, they won’t cause any damage or do any harm. They don’t bite or sting, and they aren’t known to carry or transmit human diseases. 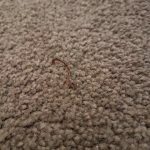 Since sowbugs aren’t pests, our reader doesn’t need to stress out too much about getting rid of them. He can make sure to close windows and doors to prevent future sowbugs from crawling in, and he can seal any gaps or cracks in his foundation. He might also want to install a dehumidifier in his home to make the environment less wet and therefore less appealing to sowbugs. 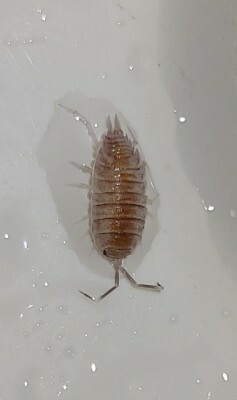 To wrap up, we believe the segmented creatures our reader found are sowbugs, which are land-living crustaceans. Fun fact: they are more closely related to shrimp than insects! We believe the segmented creatures our reader found are sowbugs, which are land-living crustaceans. Fun fact: they are more closely related to shrimp than insects! 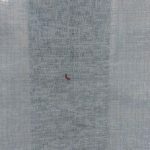 What Are Red Larvae on Window Curtain?